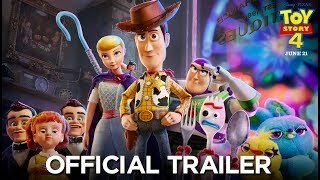 Even when the script they have to work with isn’t quite exceptional, talented actors still have the ability to elevate the mediocre material they’re provided and turn it into an entertaining cinematic experience for the audience. 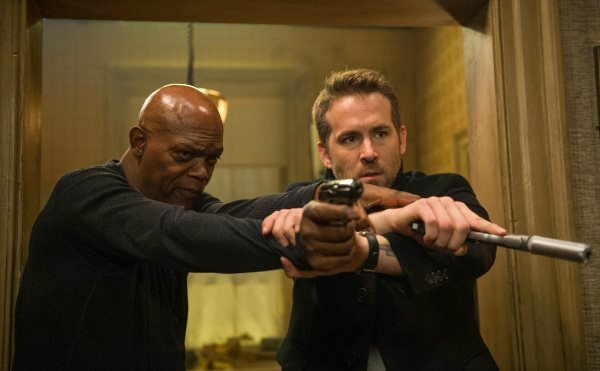 That is exactly what Ryan Reynolds and Samuel L Jackson have done with The Hitman’s Bodyguard, an otherwise middling action comedy that benefits from the chemistry and charisma of its leads. The actors portray two bitter rivals who must set aside their differences and work together to evade countless armed baddies on a journey across Europe. Reynolds appears in the role of Michael Bryce, a “triple A-rated executive protection agent” whose reputation takes a hit after one of his clients is shot in the head. Jackson portrays Darius Kincaid, a notorious contract killer who is incarcerated and facing two dozen counts of murder in 10 countries. When a ruthless dictator, Vladislav Dukhovich (Gary Oldman), is put on trial for crimes against humanity, Kincaid agrees to testify against the brutal tyrant in exchange for the exoneration of his beloved wife, Sonia (Salma Hayek). 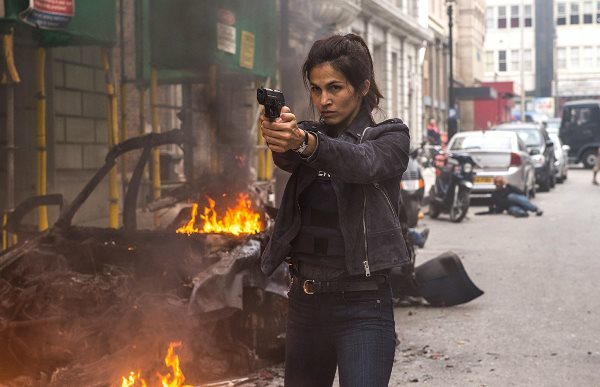 But when even a squad of Interpol agents can’t protect Kincaid from Dukhovich’s assassins, Amelia Roussel (Élodie Yung), the inexperienced agent in charge of transporting the witness, is forced to ask a very reluctant Bryce – who happens to be her ex-boyfriend – for help. 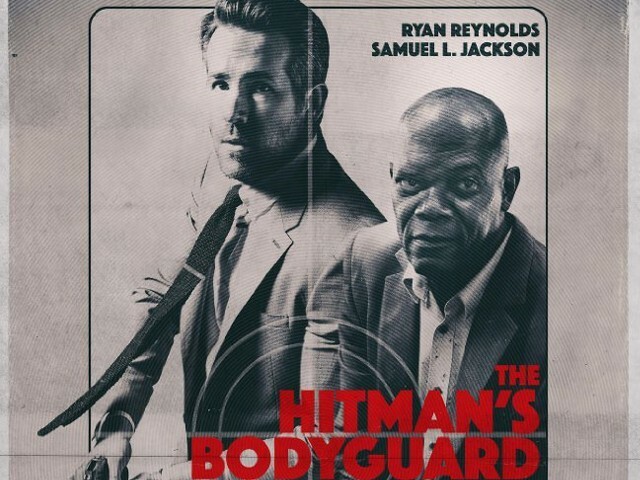 Not eager to protect his long-time nemesis, the bodyguard (Reynolds) eventually agrees to accompany and transport Kincaid to The Hague so that he can testify against the vicious despot at the International Court of Justice. Protecting his new client, however, is easier said than done. The duo is chased by armed criminals for much of the film’s duration. There are car chases, combats, fights, explosions… and it all starts to get a bit tedious. The problem isn’t that the action scenes aren’t competently shot or well-executed, but it’s simply because there are just too many of them and they often go on for longer than they should. Luckily, though, the action is accompanied by a near-constant stream of banter, and the combination – while too violent and profane for some viewers – works quite well. Reynolds and Jackson have given tremendous performance and their seemingly effortless ability to exchange barbs like pros is quite entertaining. Also, terrific in the film is Hayek in a performance so amusing that you’re left to wish her part in the film had been longer. Oldman, also, is suitably menacing in the role of the film’s antagonist. 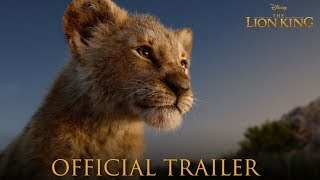 That said, even the entertaining acting performances can’t hide the fact that the proceedings are predictable, the story is clichéd, the script isn’t very inventive, and the movie on the whole is overlong and repetitive. 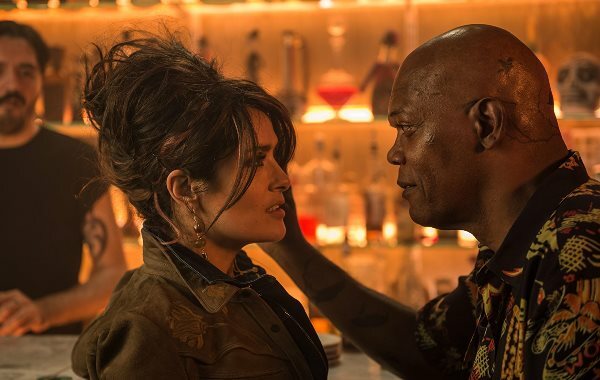 This isn’t the first time – and it certainly won’t be the last – that a Hollywood film has tried to generate humour by putting together two opposites or conflicting personalities. But even though director Patrick Hughes and his crew have mostly stuck to the generic, conventional route here, it’s the competence of their impressive cast that has rescued this vehicle and made it amusing and watchable. On the whole, while it isn’t exactly an example of great filmmaking, The Hitman’s Bodyguard does take you on a fun, two-hour long ride. Just don’t expect it to bring anything new to the genre or surprise you in any way.